From the very beginning the focus was on ecological and sustainable winegrowing (which is explained in further detail under "Ecology"). 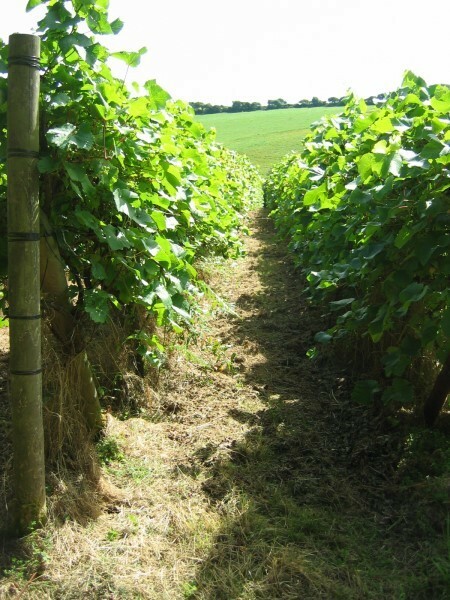 For this reason only the interspecific grape variety "Amurensis Walk" was considered for planting (in Ireland), since it is particularly resistant against fungal infestation (again this is explained further under "Grape Variety"). The cultivation of "Amurensis Walk" allows us to completely dispense with crop spraying against fungi. In fact, pest control is entirely organic since the vineyard is not a monoculture, but part of healthy intercropping. Effectively, neither the vines nor the grapes are sprayed with any kind of pesticide - not even towards harvest time when the increasing sugar content in the grapes may cause Botrytis to be a problem. The method of choice is an uncongested cultivation and selective hand-picking of only the finest grapes. 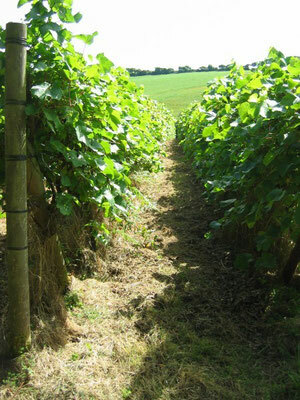 The vines are pruned using the rather infrequently applied minimal cut. This allows the plants to grow quite freely and develop their flavour without any restriction. As a result of this pruning method, the vines produce several small grape bundles, not a couple of "disciplined" large ones, in quite a natural ergonomic manner. So the saying might go: "Happy vines for happy grapes!" Naturally, the foliage of the vines becomes more dense over the years - which means the wind cannot pass as freely as we would wish - so we have introduced a cut-back season every 3-4 years. The vineyard is allowed to lie fallow for one harvest, while the vines benefit from this rejuvenation and grow to bear fruit again with renewed vigour the following season. The land between the vines is naturally green, and mulching is carried out at regular - though relatively long - intervals. Effectively, the mulch residue then completes the cycle by becoming a gentle natural fertilizer on the ground, which in turn helps to retain and revive a natural fauna-flora habitat. "Amurensis Walk" needs no more, for it is a vine that is content with plain soil. Since neither mineral or organic fertilizer is required, any unnecessary contamination of the groundwater or any other water courses can be avoided entirely. Another result of our extensive land maintenance is that other natural resources, such as Diesel for the vineyard tractor, are managed with care, while at the same time fewer harmful exhaust fumes are emitted.